SQUARE LAZY SUSAN TURNTABLE Ball bearing turntable For rotating book racks & serving trays For machine stands & kitchen storage racks 1000 lb. capacity 9549 12 IN. 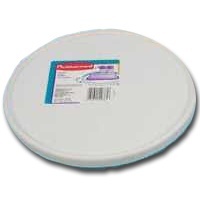 LAZY SUSAN TURNTABLE SIZE:12"
ROUND LAZY SUSAN TURNTABLE Ball bearing turntable For rotating book racks & serving trays For machine stands & kitchen storage racks 500 lb. capacity 9548 6 IN. 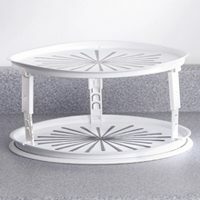 LAZY SUSAN TURNTABLE SIZE:6"
LAZY SUSAN TURNTABLE Ball bearing turntable rotates for easy access Use on book racks-serving trays-kitchen storage 9547 4 IN. 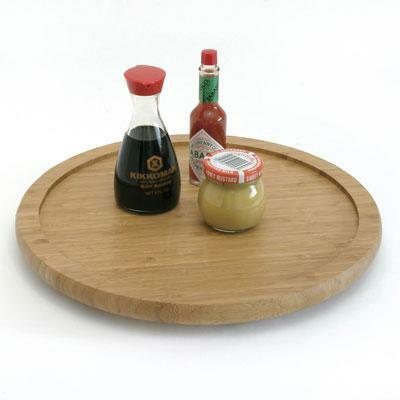 GY LAZYSUSAN TURNTABLE SIZE:4"
Lipper's Acacia Curved Serving Tray features an elegant curved design. The cutout handles provide a comfortable grip. The slightly recessed surface helps to prevent slippage. Made from durable and environmentally friendly Acacia. Hand wash only. Natural This item cannot be shipped to APO/FPO addresses. Please accept our apologies. 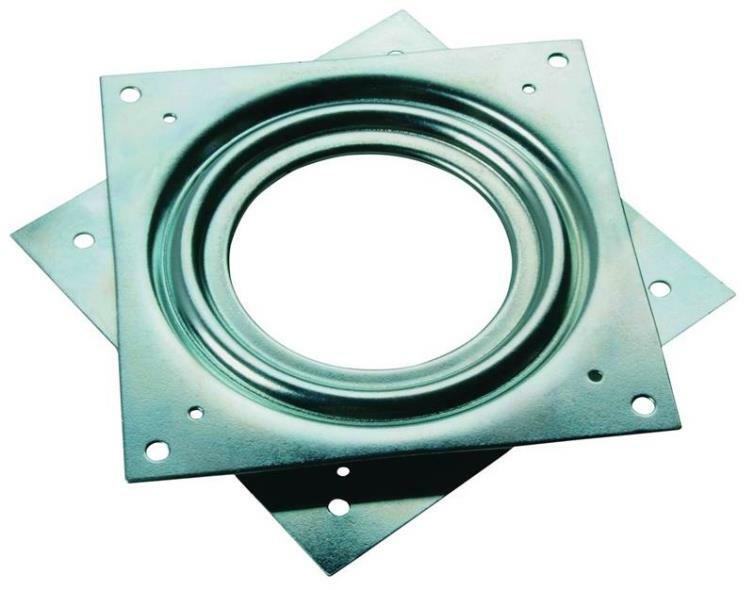 Prosource JC-L01-PS Lazy Susan Turntables, Ball Bearing, 4 In. 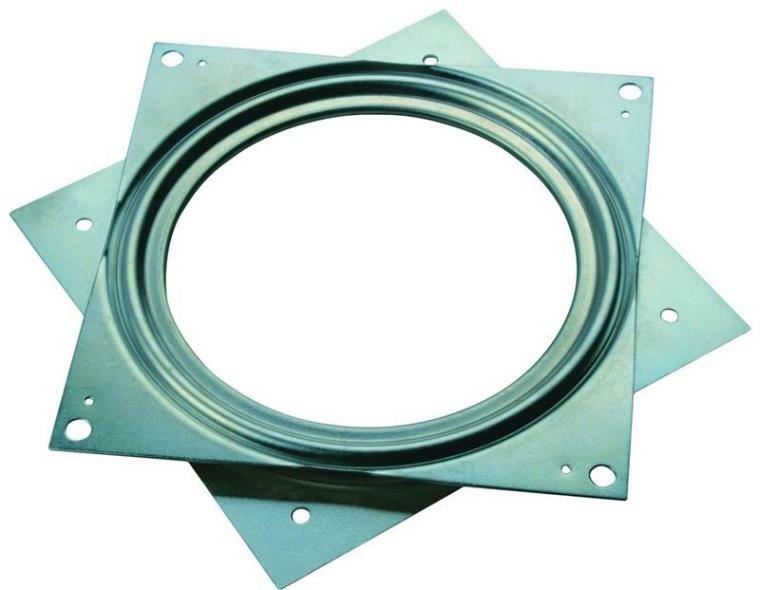 Prosource JC-L01-PS Lazy Susan Turntables, Ball Bearing, 4 In. Prosource JC-L02-PS Lazy Susan Turntables, Ball Bearing, 6 In. Prosource JC-L02-PS Lazy Susan Turntables, Ball Bearing, 6 In. 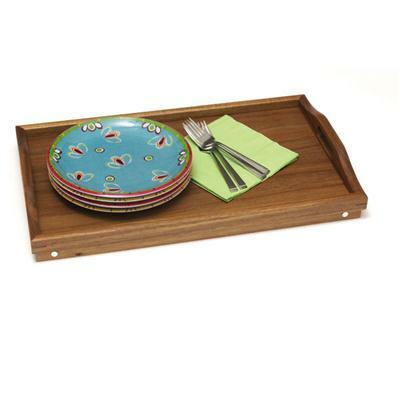 Acacia Reversible Serving Tray can be used as a serving tray bedtray or laptop tray. Cutout handles for comfortable gripping. Slightly recessed surfaced prevents slipping. Made of sturdy Acacia. Dark wood This item cannot be shipped to APO/FPO addresses. Please accept our apologies. 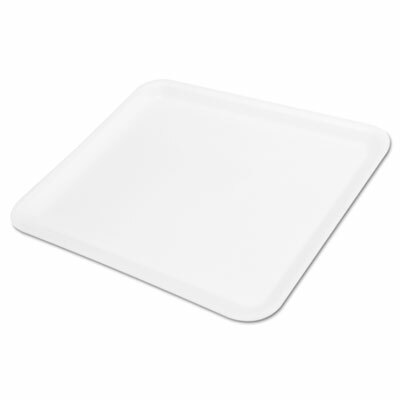 Economical, lightweight, nearly unbreakable polypropylene trays are well suited to food courts and cafeterias. Textured basket-weave design reduces surface food movement, minimizing the potential for accidental spills. Bottom-mounted drying and stacking lugs help improve post-wash turnaround. 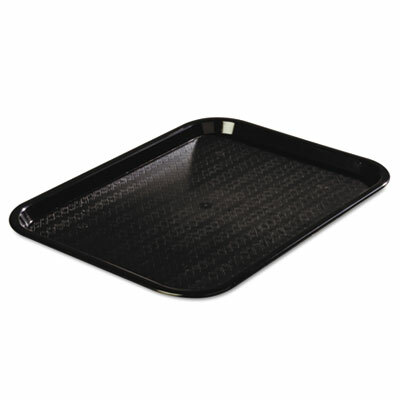 Food Container Type: Food Tray; Material(s): Polypropylene; Color(s): Black; Number of Compartments: 1. 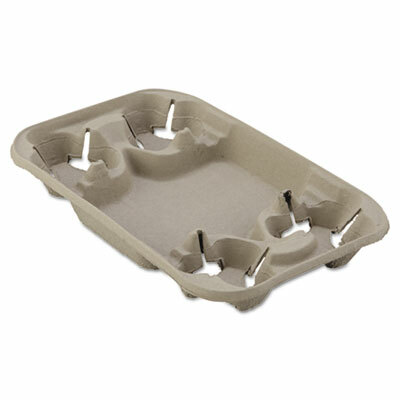 Select sturdy, durable foam trays for your deli displays. 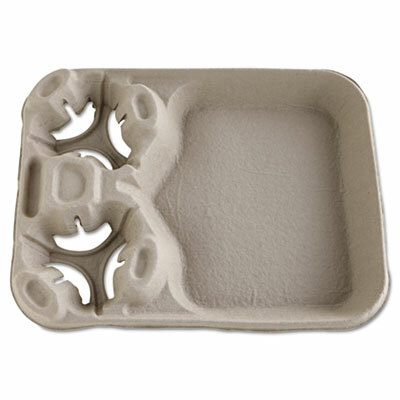 Convenient trays work to keep food fresh. Trays display food in an appealing way while making it easy to package for quick-sale. Food Container Type: Carryout; Material(s): Foam; Color(s): White; Number of Compartments: 1. Indispensable trays securely hold full beverage cups. Convenient food compartment allows you to fill a whole order in one to-go container. Sturdy molded fiber construction minimizes the potential for tips and spills. Easy-to-load, nesting design simplifies order filling while minimizing storage space usage. Cup Size (Range): 8-22 oz; Capacity (text): Four Cups; Material(s): Molded Fiber; Color(s): Beige. Bamboo 14" Turntable is perfect for making spices and condiments readily accessible at the dinner table kitchen cabinet or closet shelf. Outer lip prevents items from slipping off; Rotates for easy access; Made of environmentally friendly bamboo; No assembly required; Generously sized. Light wood This item cannot be shipped to APO/FPO addresses. Please accept our apologies. 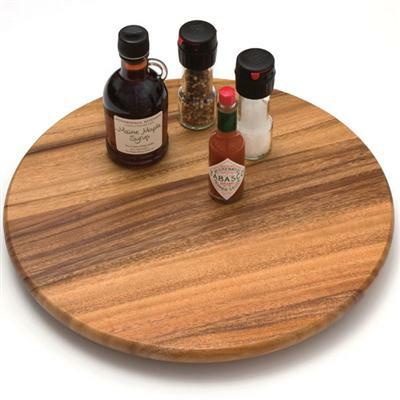 Our lazy susan is perfect for making spices and condiments readily accessible at the dinner table kitchen cabinet or closet shelf. Rotates for easy access. Made of environmentally friendly Acacia.. No assembly required. Minimum care required. Generously sized. Natural. This item cannot be shipped to APO/FPO addresses. Please accept our apologies. 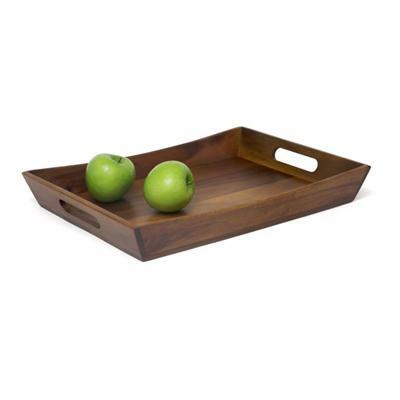 This hand carved rubberwood Appetizer Plate and cocktail tray from Picnic Plus is perfect for parties, get-togethers inside or outside. With the sculpted wine glass cut out, your drink stays with you and gives you the ability to hold hors doeuvres without having to struggle for an extra hand. Indispensable trays securely hold full beverage cups. Convenient food compartment allows you to fill a whole order in one to-go container. Sturdy molded fiber construction minimizes the potential for tips and spills. Easy-to-load, nesting design simplifies order filling while minimizing storage space usage. Cup Size (Range): 8-44 oz; Capacity (text): Two Cups; Material(s): Molded Fiber; Color(s): Beige. Enhance the visual presentation of your menu items. Dependable molded fiber products provide extra-strength absorbency. 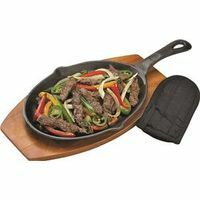 Perfect for fried, baked or broiled foods. 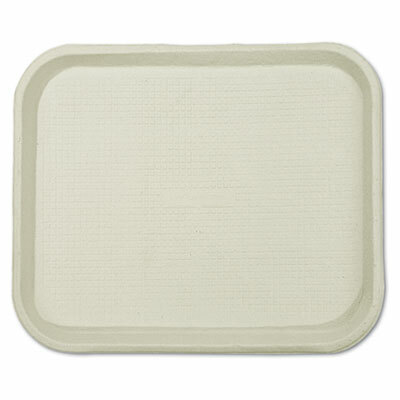 Food Container Type: Carryout; Material(s): Molded Fiber; Color(s): Beige; Diameter: 12". A serving station catered to your needs! Keep your food fresh and chilled! 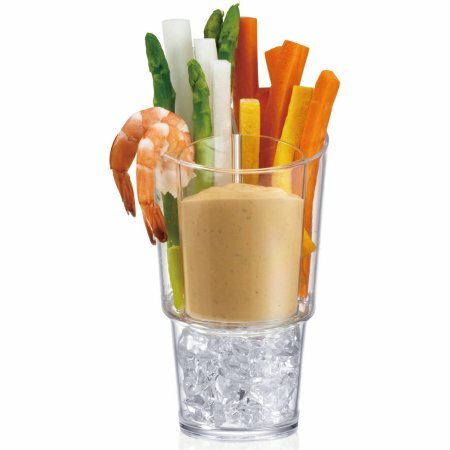 Holds fruits, veggies, sauces, dips, toppings, condiments, and garnishes for salad bars, cocktails, and more. Use our condiment station for restaurant buffets, food bars, picnics, barbecues, and indoor/outdoor catering parties. This serving station comes in at 19" x 5.5" x 3.5". 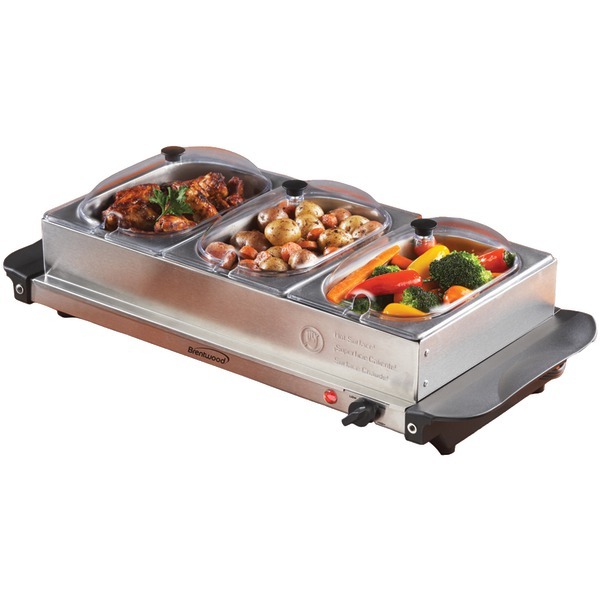 It makes it easy to have your own taco, ice cream topping, or salad bar at a restaurant or your personal kitchen. As it comes with six deluxe trays that fit 16 ounces of liquid a piece, you'll find these trays can fit more than the usual four tray stations. It's made from sturdy plastic and has helpful ergonomic finger grips on each side so you can carry it without the worry of spills. If you're wanting to keep food cool, fresh, and preserved, make sure to place the entire container on top of ice, in a cooler, or on a chilled area of a buffet table. When you're finished with it, simply clean by placing the trays on the top rack of the dishwasher while wiping down the rest. 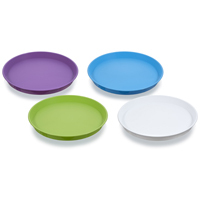 get six spacious trays giving you more versatility in serving delicious dishes. Other competing stations have smaller trays both in number and in amount they can hold. Each tray can fit up to 16 ounces of liquid, more than similar trays that hold only 12 ounces. Larger than the norm, you'll find the 19" x 5.5" x 3.5" container to be more than enough to hold the quantity of food or condiments needed. Its light weight makes it an easy addition to a cooler, so you can take it with you to a catering event, family barbecue, picnic, party, or restaurant buffet. Whatever and wherever you imagine, this makes food serving and preparation look simple! 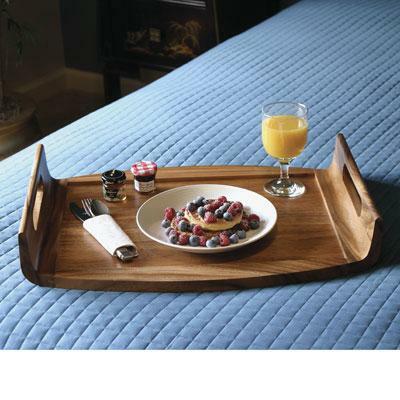 LIPPER ACACIA SERVING/BED TRAY� HWLI1163 Be served and pampered with elegance. Perfect for eating or reading in bed. Folding legs allow for easy storage. 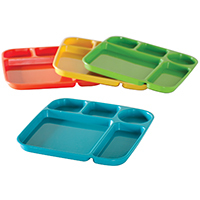 The cafeteria trays hold up to the heaviest of wet and dry foods. 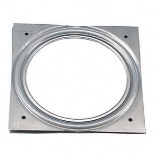 Available in traditional rectangular shape and new round plate. 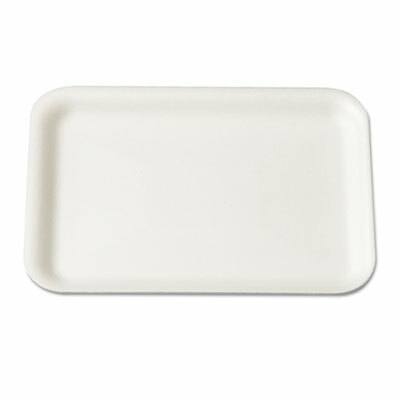 Food Container Type: Tray; Material(s): Molded Fiber; Color(s): White; Number of Compartments: 5. Enjoy the ability to change layout in your store easily as seasons and specific birds change. Enhance your store's image with stunning bird signage and promote sales! 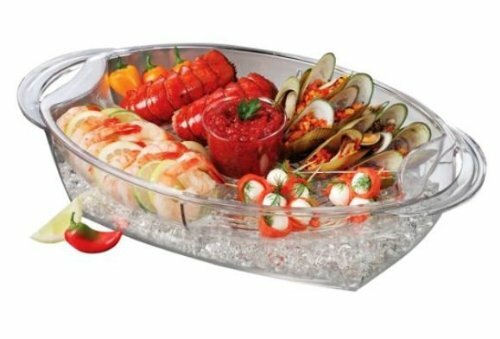 BUFFET ON ICE FOOD DELIGHTS STAY CHILLED AND FRESH OVER A BED OF ICE. 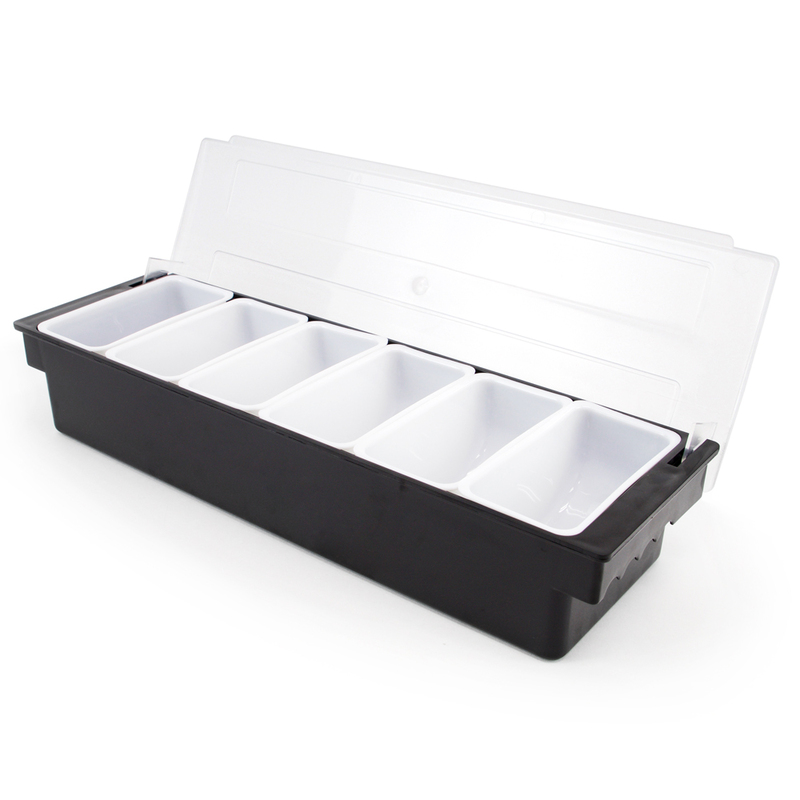 Bottom tray can be filled with cubed or crushed ice, while the upper 4 compartment food tray is positioned above the ice. � The food tray is vented to allow coldness from the ice below to flow through to keep food chilled and tasty. Handy removable dip cup is included. � Bottom Tray can be used alone to serve a variety of foods, such as salads, pasta, rolls, cup cakes and more. � Perfect for both indoor and outdoor entertaining, it is made from BPA free materials. � Measures 19 �” x 11 �” x 5”.